The National Transportation Safety Board is now acknowledging that children would be safer on school buses if they had seat belts. Safety officials previously said seat belts aren’t necessary because the seats are tall, strong and closed spaced. 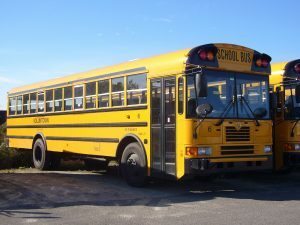 But after reviewing several deadly bus accidents, NTSB says the compartmentalization of the seats is no longer sufficient to protect children during side-impact collisions and rollovers, FOX23 reports. NTSB said seat belts would decrease the chances of injuries and could even save lives. NTSB is recommending that school use three-point seat belts when buy new buses for students. Posted: 11/28/16 at 8:36 AM under News Story.